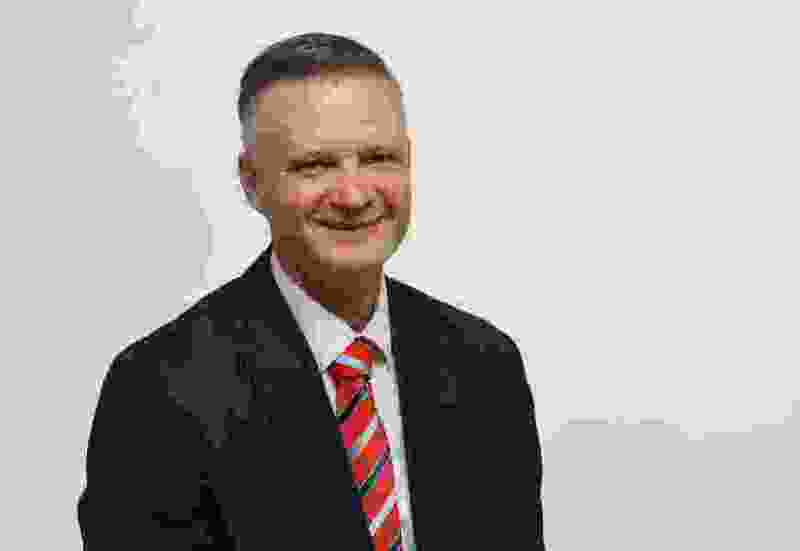 Gehrke: Why’s the governor raising big money if he’s not running again? And what do donors get out of it? A “Save the Date” notice for Gov. Gary Herbert’s annual fundraising gala showed up in my inbox. 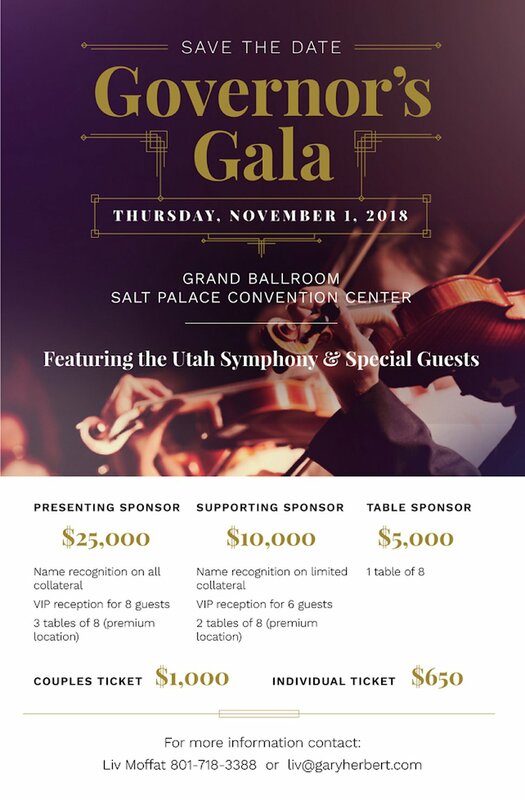 The Utah Symphony will be performing at a black tie event in the ballroom at the Salt Palace. Now you might be thinking, hey, I thought Herbert said he isn’t running for re-election, so why is he holding a fundraiser that has traditionally brought in anywhere from $500,000 to a million bucks? Good question. And there’s really not a very good answer. This "save the date" email was sent to the governor's big donors, reminding him of his upcoming fundraising gala just before election day — even though the governor has said he's not planning to run for office again. Aside from that, Miller said, when the governor sends out letters to supporters asking for money, he emphasizes that the donations will go to causes and candidates the governor supports and Miller said he thinks that’s why people give to the governor’s gala. There are other costs that come with being governor, travel to political events and sending out the annual Christmas cards, that taxpayers shouldn’t have to pay for. But, seriously, he needs a million bucks? When he leaves office, maybe he’ll want to have money to set up a legacy foundation, a much smaller-scale version of the $40 million library that Sen. Orrin Hatch is raising money for — complete with a replica of Hatch’s D.C. office and, one can hope, a wing dedicated to his songwriting. As in years past, he’ll make a contribution to a charity. This year, the money will go to a group focused on veteran suicides, a worthy cause, to be sure. And he might want to have a little seed money left over at the end to help give a boost to his chosen successor — maybe it will be Herbert’s doppelganger, Harry Gerbert; more likely his anointed one will rhyme with Spencer Rocks. But at its core, this is about Available Jones being available. You remember, heading into last election when Herbert was secretly recorded summoning lobbyists to The Alta Club and offering a sort of speed-dating meet-up with their clients for a price. “If we want to have multiple meetings or we sit down and talk and you give us a check later or before. However you would like to do it. … I’ll just say, I'm available. I'm Available Jones,” the governor said. "Available Jones" was a jack-of-all-trades hillbilly from the old-timey comic strop Li’l Abner, always looking to make a buck. And the Dogpatch tradition continues in Utah politics today. For his “aw shucks” man-of-the-people demeanor, Herbert has been a truly prolific fundraiser. In addition to the regular galas, the governor has piggybacked fundraisers on his energy summits, held golf fundraisers and has generally been able to make it rain money at will. Herbert already has nearly $300,000 in his political action committee slush fund. He raised nearly $755,000 last year and has raised another $114,000 this year, before his gala. The gala invitation, as in years past, asks businesses and individuals to kick in up to $25,000 to land the coveted role of an “presenting sponsor” for the event. Previously, the donors who cough up the big bucks — the energy companies, the real estate developers, the medical device makers, the insurance companies, the highway contractors — could at least argue with a straight face that they supported the governor’s policies and wanted to help make sure he was re-elected. Without a 2020 bid on Herbert’s horizon, the narrative certainly looks a lot less civic-minded. Indeed, it raises the long-running question of what these companies actually get for the thousands and thousands of dollars in contributions, and the answer in this case is clear: They get access and they get influence on policy decisions that shape the future of their industries. The governor may technically be a lame duck, but he’s still at the helm of state government for another 29 months. And it’s still worth it, to the tune of $25,000, to stay in the governor’s good graces. Govs. Jon Huntsman and Mike Leavitt both left office mid-term, so fundraisers after their last election weren’t an issue. Gov. Olene Walker didn’t hold a gala after she lost her party’s nomination. So this is uncharted waters. I’m not saying the governor’s office is “for sale” the way the attorney general’s office once was. But not having another election hanging over his head could have been a truly liberating opportunity for the governor, where he could be his own man, where he doesn’t have to dance for donors and look over his shoulder for potential challengers. Instead it looks like it’s more of the same, where big corporate donors are still going to be asked to open their wallets and the governor will still be available.